“Spam,” “junk mail,” and “b*llsh^t”—we all have our own terms of endearment for marketing emails. Nobody opens marketing emails and everyone has super-powerful spam blockers now, anyways. Kids these days don’t even use email anymore! All of the junk mail sent lately comes from automated robots at big corporations and “Nigerian Prince” spammers in foreign countries. Email marketing is a thing of the past. I mean, email marketing can’t possibly sell anything and it definitely can't be used to sell addiction treatment, right? Email marketing isn’t just effective—it is THE MOST effective type of digital marketing on the planet. Hands down. 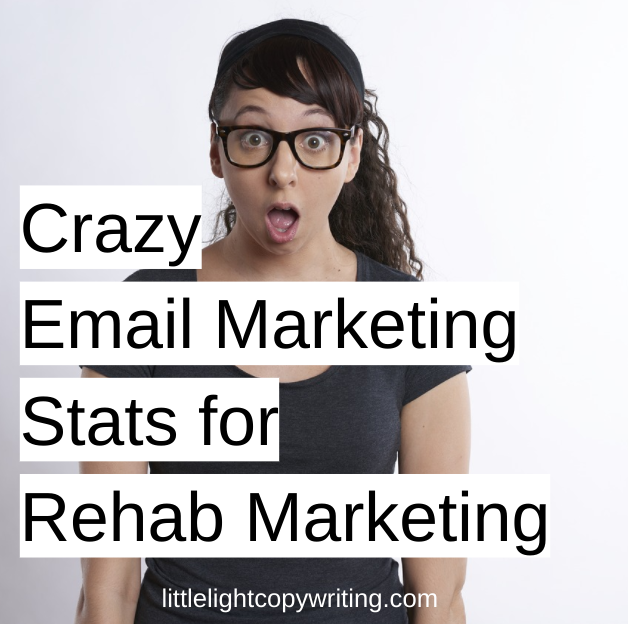 I’ve got some juicy statistics for you to back up that bold claim and prove to you why you absolutely need to incorporate email marketing into your treatment center’s game plan—if you haven’t already. This is us marketers' favorite statistic to throw around. Well, it’s dang impressive (if I do say so myself) and it really shows off the worth of what we do. For every $1 spent in email marketing, our clients get $38 in return—that’s not just “worth it,” that’s phenomenal. What other type of investment has that type of reliable yield? 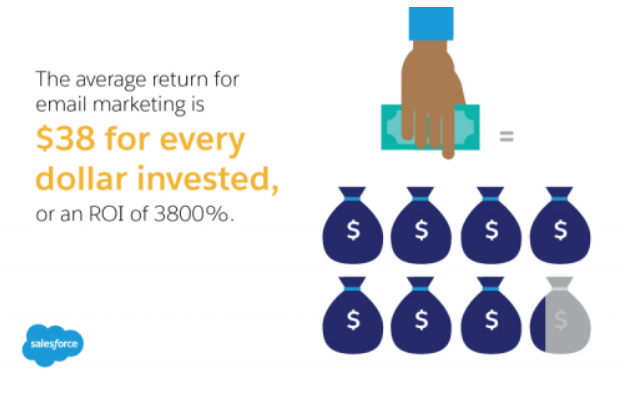 With an ROI like that, it’s clear that people are still using email, despite social media and other messaging apps. In fact a lot of people are still using email. 90% of adults use email everyday. Well, 74% of teenagers use email everyday, too. Sure, social media is a big deal, but a message is 5x more likely to be seen in an inbox than it is creeping around a Facebook feed. In fact, email is more effective at nabbing new customers—across all industries—than Facebook or Twitter. 40x more effective, to be exact. Email has been around for a while, but it’s not going anywhere. OK, but how do you get addiction treatment leads to open emails? Now we’re getting into the art of sending a good email, one of my favorite topics. Marketers call the rate at which emails get opened the “open rate.” You can measure open rates for an individual email or for an entire campaign. For addiction treatment services, which fall under the umbrella of the “medical, dental, and health” category, the open rate is at an average of 22.43%, slightly higher than the global average of 20% for all email marketing efforts across all industries. Because us marketers love our data—and if you’re reading this you probably do, too—let’s look at the factors that affect open rates and see what we can do about creating the perfect send. According to Hubspot’s analysis of millions of emails, the universal “best time” to send an email in terms of open rates is 11AM EST (that’s 8AM for us on the west coast). Will that always be the best time of day? You need to experiment with A/B testing to see what time of day is optimal for your email list. 11AM EST can be a starting point but I would argue that a later time of day is likely going to work best for the target market in addiction treatment services, especially those here in Oregon, California, and Washington. However, each list is different and what’s important is figuring out what works for yours—not everyone else's. Yes, for whatever reason, people are more likely to open email on certain days of the week. The best day to send an email? It’s a really boring day: Tuesday. Thursday is the runner up. If you’re going to send two emails a week, send them on Tuesday and Thursday. Avoid Friday—the week gets more slack in terms of email opens the closer to the weekend you get. Monday is also a relatively weak performer. Again, your list may have quirks so always be sure to test what days work best for you. I see a lot more variation in terms of optimal send time than I do in optimal send day, for what it’s worth. It seems Friday performs poorly across nearly all industries and lists. That last one—the sender’s name—is actually really important. 68% of Americans say they base their decision to open an email on the "from" name alone. The takeaway: make sure your “from” name is—at the very least—recognizable. Be sure to include the name of your center somewhere in there. I love this option because it has both name familiarity (“generic treatment”) and the warmth of human contact (“Robert”), which tends to be a winning combination. 4 - Personalize, personalize, personalize! People respond to their name. They just do. Knowing that, make sure that you use your leads’ names when you email them. Drop first names into your addiction treatment email marketing subject lines and see a 26% bump in opens. Personalization is easy with marketing automation and email marketing services like Salesforce, Hubspot, or Mailchimp. Some marketers will argue that you must bombard your leads with emails in order to see results. I’m personally very turned off by too-frequent emails and I’m not alone in the feeling. Across all industries, companies who send just 2 emails a month see the highest open rates. That said, for our industry—addiction and recovery services—I think this number is very low. I would argue that 1-2 emails a month would be ideal for referral partner and alumni lists but that it’s way too little contact for hot leads who express an interest in treatment. I would consider emailing hot leads at least every other day for at least a week. If that didn’t convert them, I’d fall back to emailing once a week for a month before switching them to the 2 emails a month plan. Why not email everyday for the rest of their lives? Well, not only would that be pointless, it would also be detrimental to your ability to market to other people, too. In order to maintain your good standing with your leads’ email service providers, it is important to avoid being marked as spam by the people getting your emails. A few marks are inevitable, but rack up too many spam reports and your emails won’t hit anybody’s inbox. Cross that line from persistent to annoying and your sending email address will be blacklisted by the email service provider. Also, spamming is bad karma. In short: don’t be annoying. Make it easy for people to unsubscribe. Make sure your emails are loaded with valuable content and people will be less likely to mark them as spam. So if you haven’t incorporated email marketing into your game plan, what are you waiting for? If you only invest in one kind of marketing, make it email marketing. Study after study has shown that email marketing is by far the most effective type of marketing on the planet. If you need help figuring out your email marketing plan or want help writing your campaign, let me know!